All tickets are worth 500 pesos each. 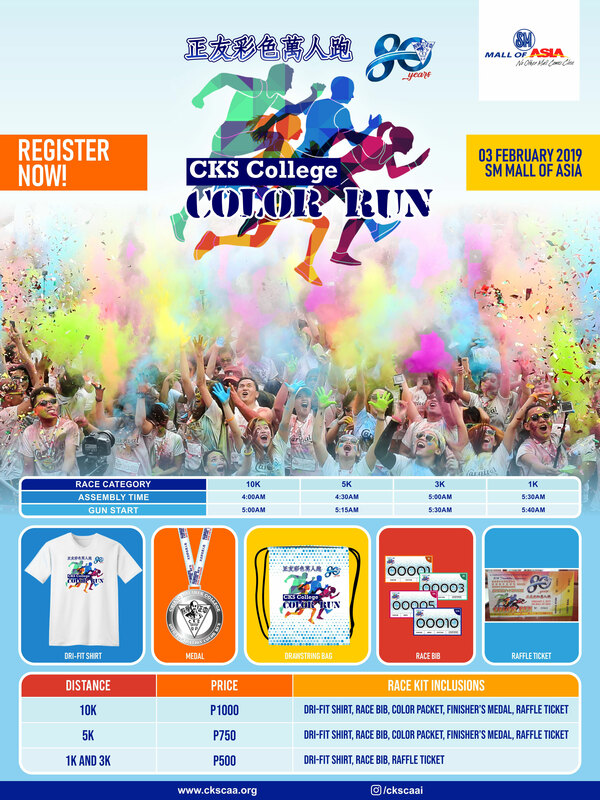 Color Run tickets are available at the Alumni Office, from participating batches of CKS College and from officers and members of CKSCAA. In the event that a runner wants to join the 5K run or the 10K run, additional registration fees of P250 and P500 will be charged respectively. Only one ticket can be used per registration. All runners are required to submit registration forms together with tickets. Payment for unpaid tickets should be submitted upon registration. 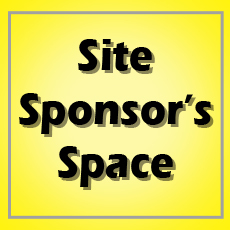 Additional payments for 5K and 10K participants should also be submitted upon registration. Deadline for registration is on or before January 18, 2019 at the CKS College Alumni Office. Registration form is available through the link below. Runners’ kits / loot bags will be available starting January 21 to January 31 of 2019 at the CKSCAA Alumni Office. The runners’ copy of the registration forms and the loot bag stub of the tickets used for registration are needed to claim the aforementioned items. Raffle draw will be done on the day of the event. Lottery drum will be available near the stage. Winners of the raffle should be present with their winning ticket to claim the prize. Runners are hereby advised to wear sunglasses or eye protectors for the Color Run.